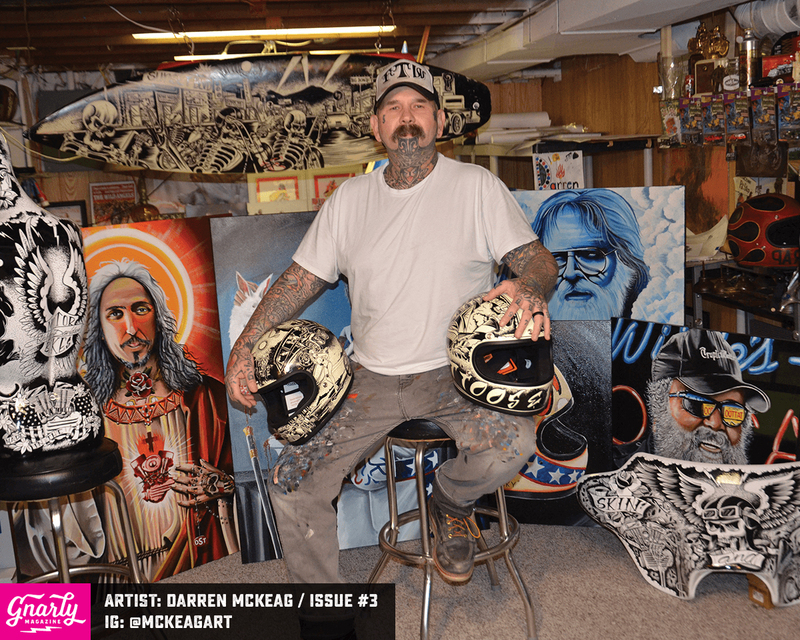 Gnarly Magazine is a brand new print publication, featuring kustom kulture artists such as pinstripers, lowbrow artists, sign painters, sculptors, modelers, airbrush artists, tattooers, hot rod/bike builders, comic artists, and more. 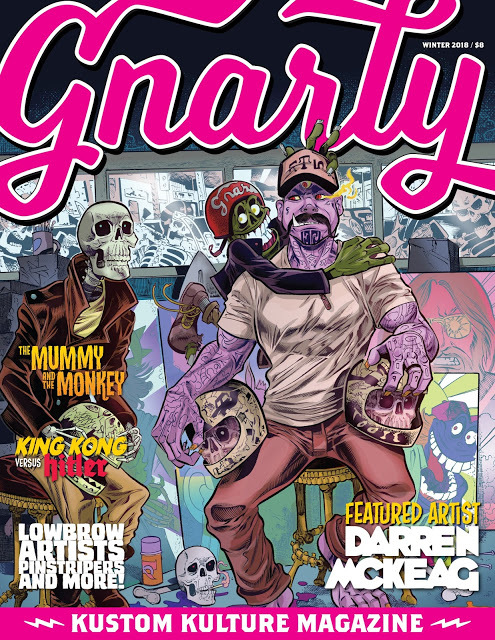 Gnarly also showcases artists through online art competitions held on their website’s blog. I thought it would great to find out more about Johnny, the man responsible for Gnarly Magazine. Enjoy! Tell us a little bit about yourself: My name is Johnny and I am the editor and publisher of Gnarly Magazine. The Gnarly Magazine "offices" are located in beautiful Montgomery County, Pennsylvania, about 40 minutes west of downtown Philly. ChopCult:. Are you an artist by trade? Johnny: Yes, I was lucky enough to be born with artistic talent. I've been a professional graphic designer since the mid-90’s. My boring day jobs are typically page layout for magazines and newspapers and doing graphic website design. 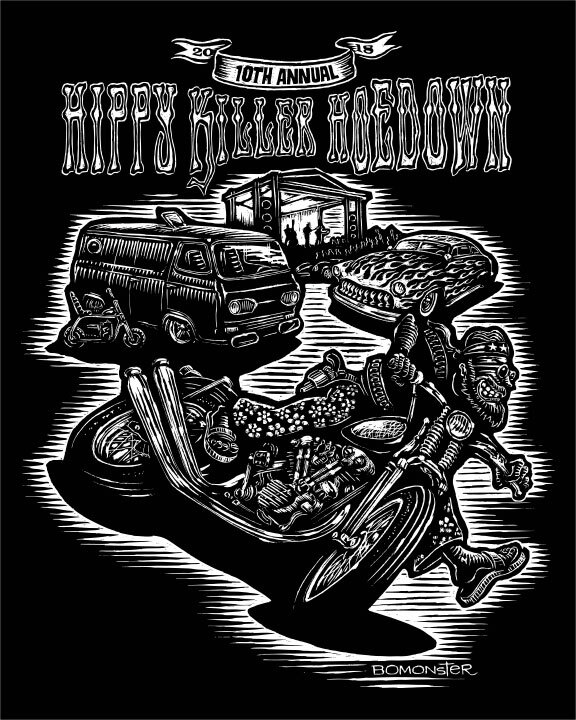 ChopCult: How did Gnarly Magazine come about? Johnny: I started Gnarly Magazine as a creative way to showcase artists who wouldn't otherwise be making it into "mainstream" art magazines. The dedication to their craft and tradition is something that I admired and wanted to build a magazine around. 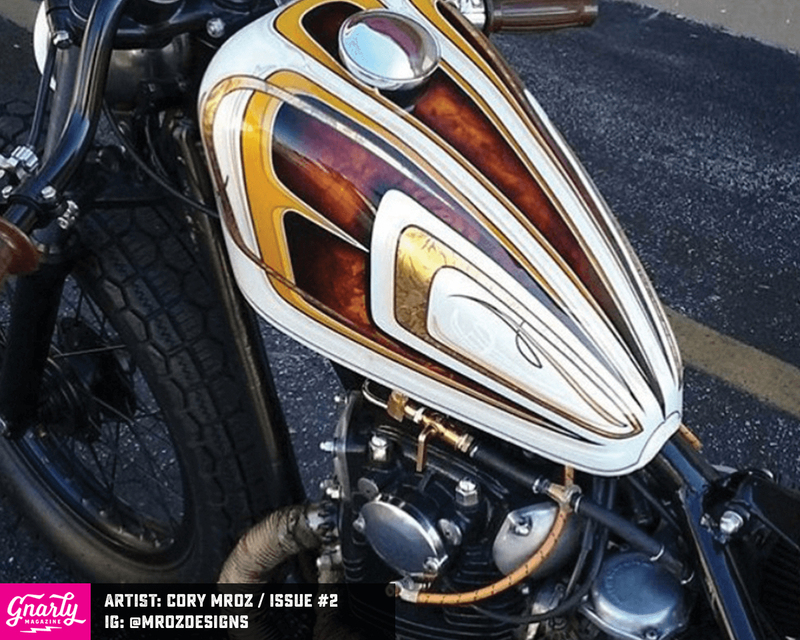 And, since I have no mechanical abilities and have had zero success at mastering a Mack pinstriping brush, I figured I'd do something more in my wheelhouse: publish a gnarly magazine! ChopCult: Congratulations on releasing the fifth issue of Gnarly Magazine. What are some of your biggest accomplishments for the magazine thus far? Johnny: The biggest accomplishment so far is being picked up by a distributor, which means that Gnarly will be available for retailers to add to their magazine stands starting with the October issue. I'm pretty stoked about that! ChopCult: What are some of the goals that you are trying to attain with the magazine? Johnny: Oh, that is a loaded question because I instantly want to say that my goal is to attain billions of dollars through advertising sales, subscriptions, and merchandising. But, since that ain't happening, I'd love to be able to quit my day job, hire some help, and do this full time with a staff of driven creatives and smart business tycoon-types. ChopCult: Do you ever think you will reprint Issue One which is currently sold out? Or is it a “Once it’s gone, it’s gone” scenario? 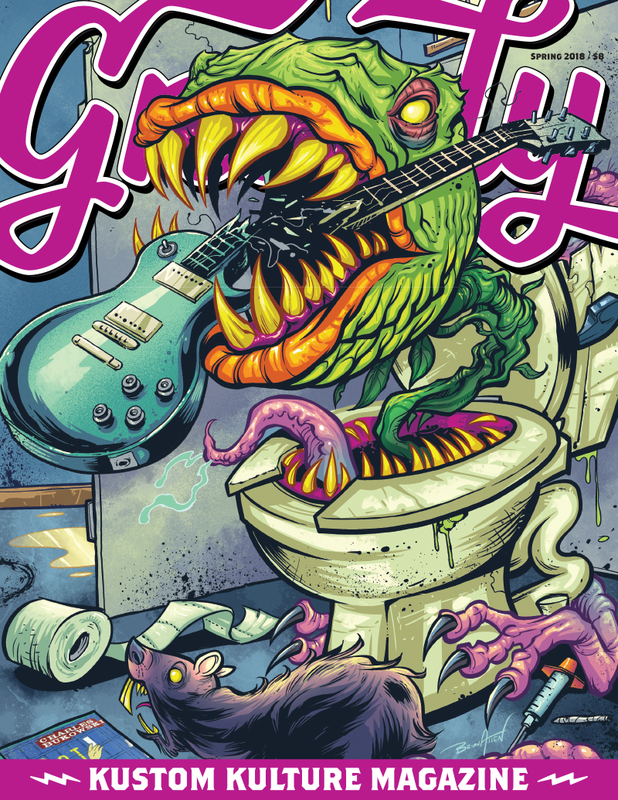 Johnny: Gnarly Magazine Issue #1 will be available forever ... so long as you don't mind reading it on a tiny phone, tablet, or computer. Issue #1 is still available in digital form through Magzter.com. As for a reprint, I'm not sure. If there's a demand for it, I may re-release it. I can then fix all of the typos and grammatical mistakes that slipped by the first time! ChopCult: Who inspires you on the daily? Johnny: So many people inspire me, but off the top of my head, it's artists like BOMONSTER and Darren McKeag. They have an instantly-recognizable style that many try to duplicate. Darren blows me away with how he can pump out new art pieces, daily, like a machine. That dude's an animal! Hot Rod Jen is my favorite pinstriper. Her stripe work blows me away. She achieves symmetry with brush lines that I can't even do with a computer! I'm also inspired by bike builders, monster mask makers, sign painters, SFX artists, tattooers, airbrush artists, cartoonists ... Anyone that has a passion and dedication to their craft, I'm inspired by. ChopCult: What are Gnarly Magazines dimensions, price point and where can our readers purchase their copy? 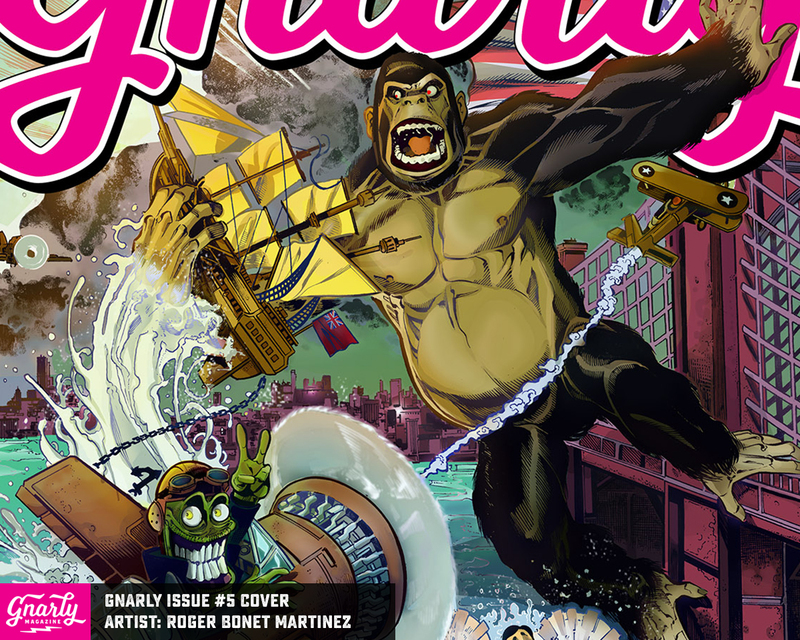 Johnny: Gnarly Magazine is a full color, glossy, art magazine. It's roughly 8.5"x11," and you can grab a copy at www.GnarlyMagazine.com for eight bucks. ChopCult: Is there anyone you’d like to thank? Johnny: Big thanks to Cory Mroz a.k.a. Mr.Oz Designs (amazing kustom artist and organizer of Brushmasters Get-a-Way). He's always promoting Gnarly Magazine and reaching out for ways to help. Vicki from Scary Monsters Magazine has been an AMAZING help with the business, shipping, and printing aspect of running a magazine. And you, Lisa, are a really big supporter, too. It is very much appreciated. Of course, special thanks to all those customers who have supported the magazine by spending their hard-earned cash to have something gnarly delivered to their house every three months! Got my first issue today...Very artistic folks!